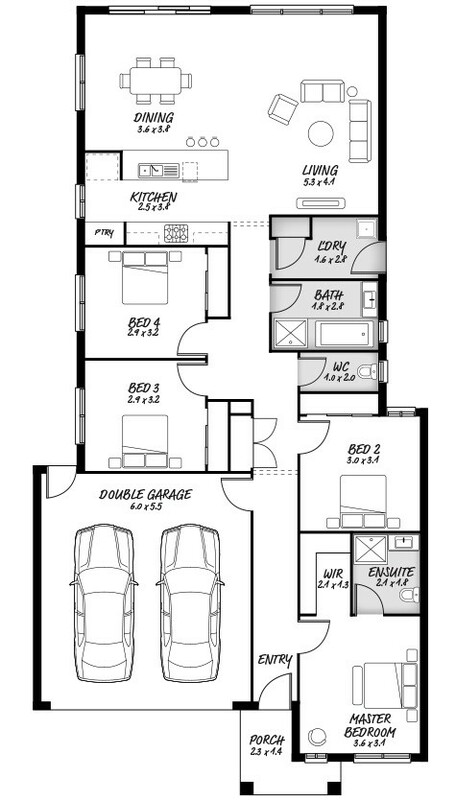 At Aston Homes, we design and carefully curate floorplans that suit all kinds of families! Whether you’re an established family with lots of kids and pets running around, a couple juggling life with a newborn, retirees enjoying a little peace and quiet or a solo adventurer enjoying the journey into home-ownership – we’ve got you covered! 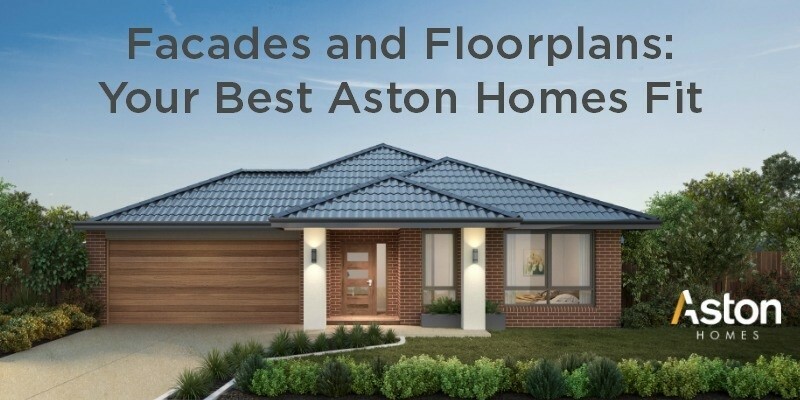 In today’s blog Aston Homes’ Sales Associate, Robert Briffa, recommends floorplans and facades to suit a range of lifestyles. Enjoy Robert’s creative combinations below and be sure to let us know if he manages to identify your very best Aston Homes fit! 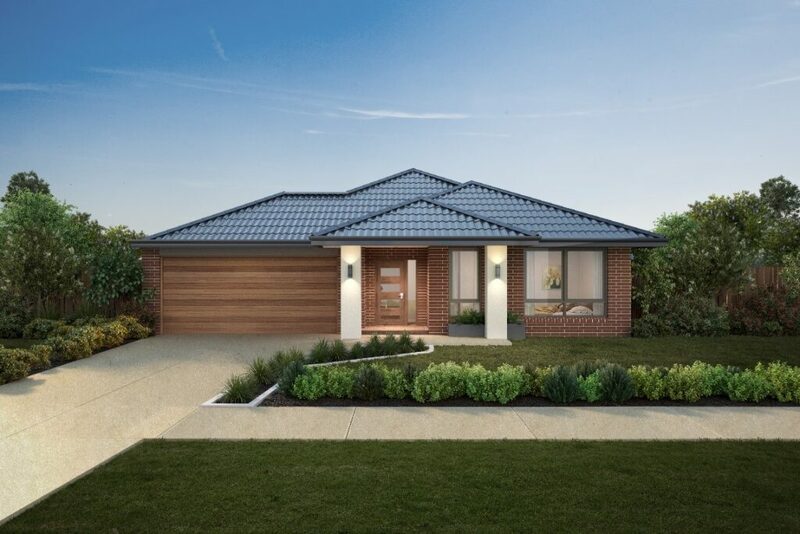 With first home-buyers, mature couples and retirees in mind, Robert has selected the Ashcombe floorplan to suit a peaceful, contemporary lifestyle. The Ashcombe spans 177.95 m2 and features a marvelous master bedroom, spacious open plan living and two luxurious bathrooms (with a handy separate wash room)! This is the ideal starter property to prompt exciting new beginnings. View the Ashcombe’s incredible inclusions here. Aston Homes’ Hedgeley façade is perfectly suited to your bright, contemporary lifestyle. With strong lines and warm earthy tones, the Hedgeley is a perfect match for the Ashcombe floorplan – effortlessly elegant! For an established family or regular entertainers, Robert has selected the most cosmopolitan of Aston Homes’ designs, the New York! A generous size at 261.17 m2, the New York offers four bedrooms, three living zones, two bathrooms, a home theatre AND a kids retreat! What more could your little ones desire? What’s in it for the adults, you may ask. How does an impressive ‘his and hers’ shower sound?! View more of the New York’s amazing inclusions here. To perfectly compliment the New York floorplan, Robert has selected the Monsanto II façade. 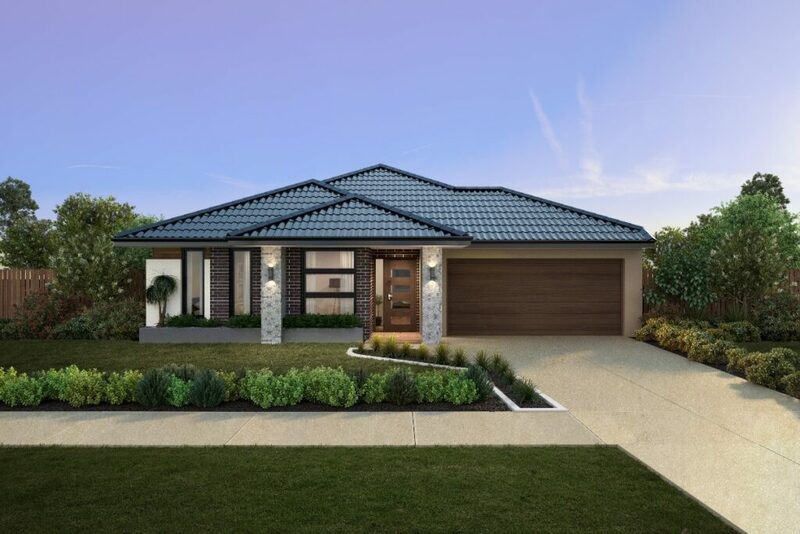 With sophisticated brickwork, clean lines and plenty of appeal – the Monsanto II is natural, earthy and robust! Robert’s choice for upgraders, mature families with three (or more) kids or those hosting large events regularly is the incredibly spacious Hampton! Grand in proportions, this neat build spans 297.32 m2 and comprises of five modern bedrooms (or select 4 bedrooms – substituting the space for a larger alfresco, a theatre room or larger living area), two bathrooms with an additional wash room and one large and luxurious living area! Kids will love the rumpus room and entertainers will enjoy the expansive alfresco. Find all of the Hampton’s inclusions here! 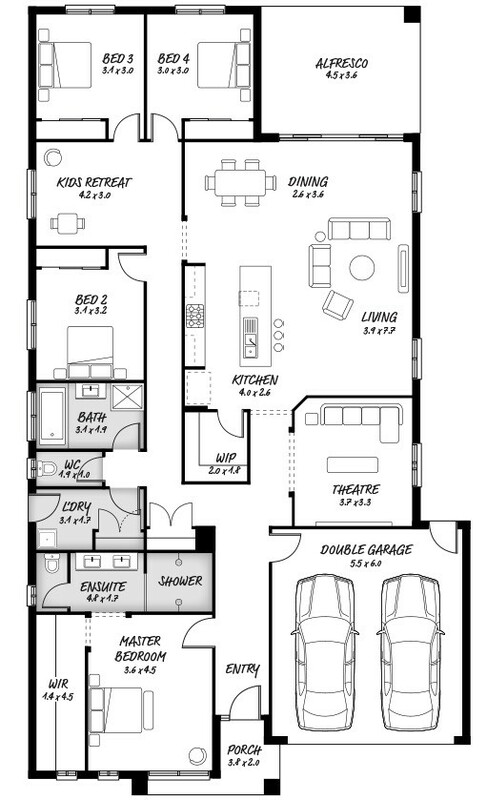 The light, bright Georgian façade is the perfect partner to the spacious Hampton floorplan. Drawing inspiration from browns, tans and beautiful brickwork, the gorgeous Georgian facade is an Aston Homes favourite! 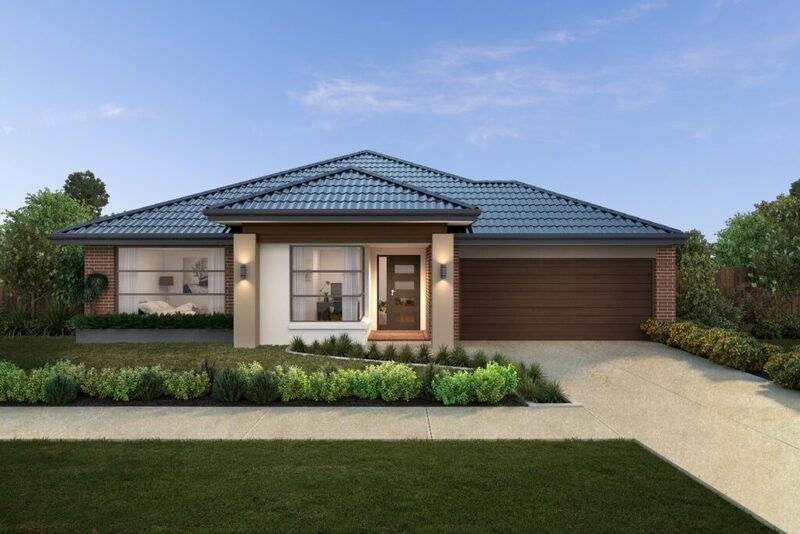 As you can see, the Aston Homes team have worked hard to create a spacious and contemporary floorplan suitable for first home buyers, growing families, downsizing retirees or budding couples. Yet to meet your perfect Aston Homes match? Check out our diverse array of facades and floorplans to suit your unique lifestyle here.